Gap Canada. 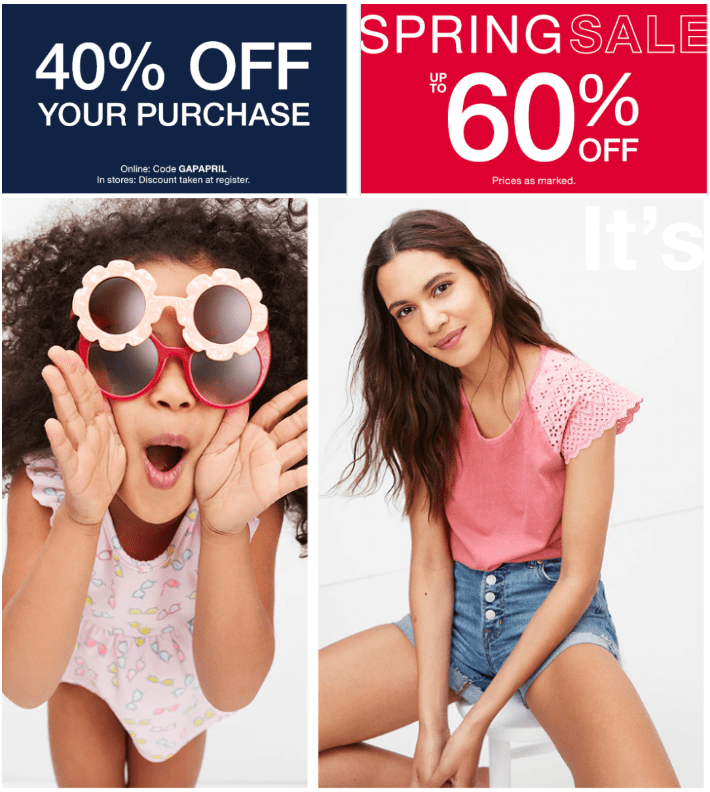 has a Spring Sale available now where you can save 40% off on your purchase when you enter the promo code GAPAPRIL at checkout. This offer is valid until April 17, 2019, at 11:59 pm PT. Also, Save up to 60% off sale styles. This offer is valid for a limited time.